In 1849, during the infancy of St. Joseph Parish, there were only a few of us. Small in number, we had great vision, hope and faith. One person at a time, one brick at a time, one Mass at a time our faith community has grown to nearly 1,400 households. Throughout these many years, our parish family, with tireless stewardship, has built up the Kingdom of God. We share our time, our many talents and our financial resources without measure. It is our way of life. Called upon every day, we worship, teach and learn, and serve. Our Time and Talent book provides information about our many ministries and committees. The ongoing shared prayer and service to others is our joyful response for God’s endless blessings. Join us as we continue to build the Kingdom of God! Each year complete a Financial Stewardship Pledge Card indicating your financial support intentions for the year. Contributions may also be made electronically using a checking, savings or credit card account. Use the online giving link or download and return the Electronic Giving Authorization forms at right. 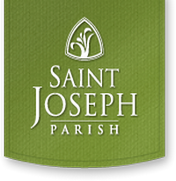 For more information, please contact: Lisa Delorit-Director of Stewardship and Communication 262-375-6500, ext 121 / ldelorit@stjosephgrafton.org.